Are You Looking For Manakin Sabot Landscaping Company Today? 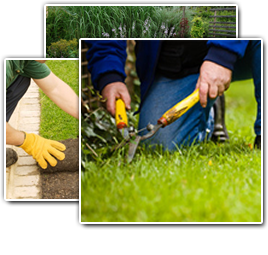 Our goal at SS Grading is to provide a high quality residential and commercial Manakin Sabot landscaping service. From yard grading to tree removal services to strive to provide unmatched service experience. All of our landscaping professionals begin each project with the goal to provide a superior service to the Manakin Sabot area. For over 10 years SS Grading offered landscaping solutions in Manakin Sabot. SS Grading is at the forefront of installing Manakin Sabot pavers, retaining walls and outdoor fireplaces. We enjoy what we do, are constantly striving for excellence and warranty our work from the ground up. We believe that as people become aware of the superiority of a segmental pavement and that as we continue to require our customer's overwhelming approval of our installations, SS Grading will be a dynamic leader in an expanding industry. When you're a homeowner in Manakin Sabot, you really enjoy looking at the pictures of your house during the time when you first planted your trees because you want to compare them into the beautiful things that they have grown to be after a long time. However, if your trees end up having disease problems, you might be in need of a good tree removal service that will help you get rid of your dying trees at home. If you have plans of doing things on your own, keep in mind that people who do this usually end up causing more problems than what they originally had. If you're dealing with stumps or deep roots, you need to get a tree removal specialist to help you out. Professionals won't only remove your tree properly but they will also see to it that your property and your lawn don't end up getting damaged during the process. If you know that your trees are already dying or are starting to fall down, it's a must that you call a tree removal company in Manakin Sabot as soon as possible so that you can have them removed fast. In this way, you can prevent your trees from falling on your house, pets, car, and you and your family. By having professionals by your side, you will have someone to take a good look at what's wrong with your trees and someone who's going to tell you the things that need to be done. If you're looking for a professional Manakin Sabot landscaper, then please call us today at 804-464-8456 or complete our online request form.